Located in Division No. 9, Subdivision A, this condo building is 0.1 mi (0.1 km) from Bonne Bay and 2.9 mi (4.7 km) from Gros Morne National Park. Gros Morne Wildlife Museum and Lobster Cove Head Lighthouse are also within 3 mi (5 km). Located in Division No. 9, Subdivision A, this cabin is within a 5-minute walk of Bonne Bay and Bonne Bay Marine Station. Jenniex House is 1.8 mi (2.9 km) away. Located in Division No. 9, Subdivision A, this apartment building is 0.1 mi (0.1 km) from Bonne Bay and 2.8 mi (4.5 km) from Gros Morne National Park. Gros Morne Wildlife Museum and Lobster Cove Head Lighthouse are also within 3 mi (5 km). Located in Division No. 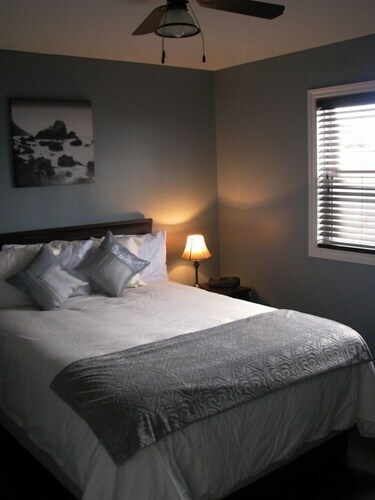 9, Subdivision A, this luxury inn is 0.1 mi (0.1 km) from Bonne Bay and 2.9 mi (4.7 km) from Gros Morne National Park. Jenniex House and Bonne Bay Marine Station are also within 2 mi (3 km). How Much is a Hotel Room in Trout River? Hotels in Trout River start at $119 per night. Prices and availability subject to change. Additional terms may apply. You'll find 3 places to rest your head within a 19 miles (30 kilometers) drive of Trout River using Travelocity's user-friendly Canada accommodation booking platform. 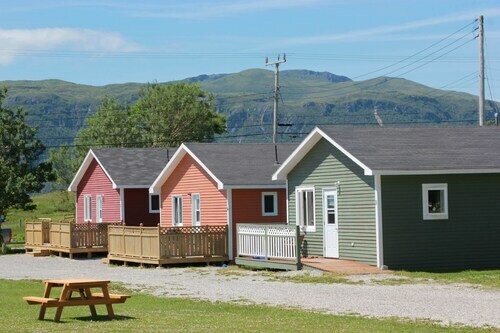 The Gros Morne Suites, Newfoundland and Labrador, which is the nearest hotel, is situated 13 miles (20 kilometers) from downtown Trout River. Or alternatively, why not have a look at the Sugar Hill Inn, located in Newfoundland and Labrador, which is 12 miles (19 kilometers) from the city center. From the main part of Trout River, it is some 13 miles (20 kilometers) to the Fisherman's Landing Inn. After you have put in the time exploring Trout River, why don't you explore a little bit further afield? The Newfoundland region boasts countless things to offer. Visit Newfoundland's old towns or see the area's rivers, streams and lakes. Popular pastimes in this region of Canada include snowboarding, skiing and cross-country skiing. The nearest hotels in Newfoundland include Steady Brook and Corner Brook. Steady Brook is 40 miles (61 kilometers) to the south of Trout River, while Corner Brook is 40 miles (61 kilometers) to the south. Steady Brook Travelocity-listed hotels include the Marble Villa at Marble Mountain Resort and Marble Inn Resort. The Glynmill Inn and Comfort Inn are some of the hotel establishments in Corner Brook. Deer Lake Regional Airport is a convenient arrival point for flights, and is situated 35 miles (60 kilometers) outside Trout River's downtown area. Hotels that are nearby include Holiday Inn Express Deer Lake and Deer Lake Motel. 5.0 Very nice hotel in easy reach of Gros Morne.